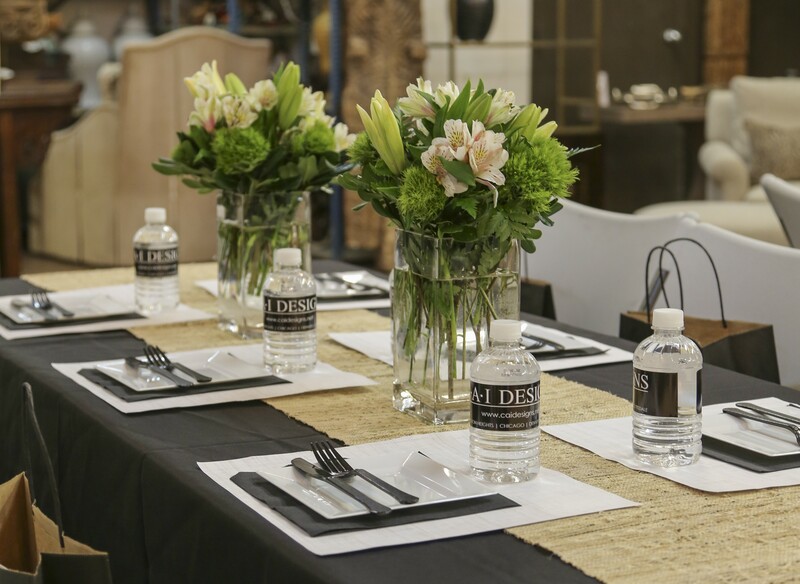 The Arlington Heights warehouse designed a lunch setting mimicking the beauty and comfort of Burton James, combining formal black and white with casual natural textures and modern florals to compliment a fresh garden salad to celebrate Springand the new introductions that come along with it! Click here to view new introductions by Burton James. Click to view all photos from this event.